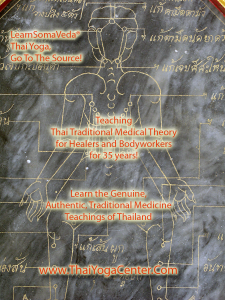 A survey and introduction of Thai Traditional Medicine theory and SomaVeda® Energetic Anatomy and Physiology treatment theory and Basic assessments (30 CE hrs.). The specific focus is on the Thai Traditional Medical Theory & Thai Vajrayanna/ Vipassana Bhavana Yogic theories of Cosmology, Elemental Theory (Lom, Fai, Din, Naam), Constitutional types, bodytypes, Tri-Doshas, Discerning Dosha Types, Humors and Lom (Winds), Understanding and locating Sip Sen ( prana nadis), Seven Primary Chakras, Important or key treatment points, Windgates. The student is also introduced to the practical aspects of SomaVeda® Thai Ayurvedic theory and practice through traditional Assessments. We demonstrate, learn and practice the first seven traditional assessments including Elemental, Dosha, Pulse, Tongue, Skin, Sen and Basic Thai Korosot Medical & Chakra Astrology. The student learns how to design specifically appropriate sessions for every client. Concepts and practice of re-assessment to track or chart client progress over time are covered. 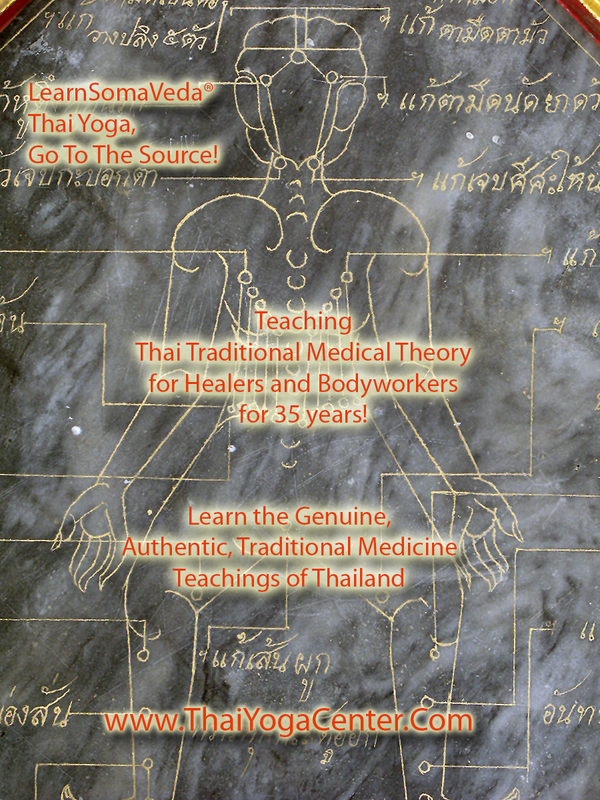 This course makes complex SomaVeda® and Traditional Thai Medicine/ Thai Yoga Therapy theory plain and simple. All Thai Yoga Classes begin with daily SomaVeda® Hatha Yoga and or SomaVeda® Reishi Yoga (Reusi Dottan). (SomaVeda® Level Four, 30 CEU’s available.) 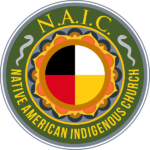 NAIC: SCNM, SMOKH, NCBTMB approved CE Hours..
SomaVeda® Lines, Wheels, Points and Specific Remedies: Level Four follows Level One, Level Two and Level Three courses. For information on the full SomaVeda® Thai Yoga Practitioner Certification Program Click Here!